Chelsea Virginia brings a unique perspective to her consulting practice, informed by years developing and supporting creative businesses, as well as facilitating the creative process in college classrooms, both as a mentor and professor. 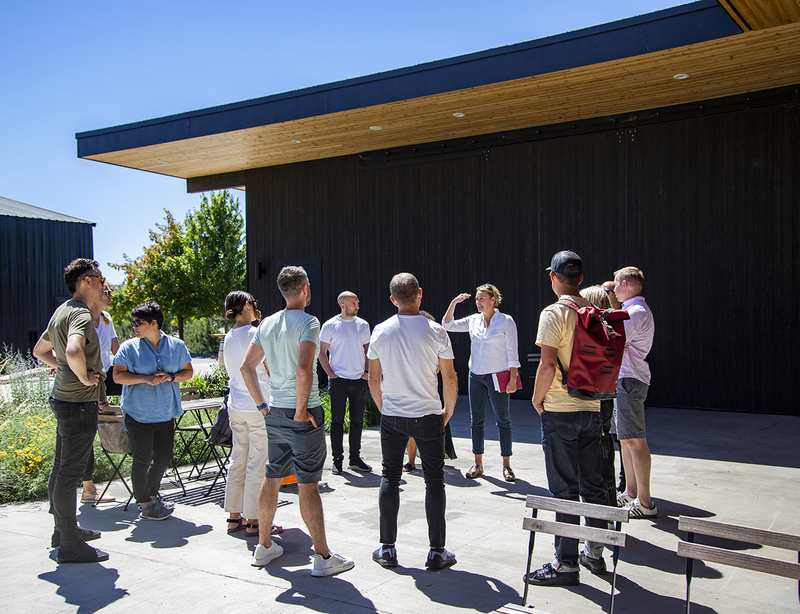 Chelsea has worked with creative brands such as adidas, Nike, Keen & Icebreaker to develop unusual teambuilding experiences and offer hands-on learning opportunities for design teams and executive leaders. In 2013, She founded WildCraft Studio School, a creative center with studios in White Salmon WA & Portland OR, which offers a robust curriculum of traditional craft, textiles, Native American arts, and land-based workshops to adult learners. WildCraft has been featured in numerous publications, including Martha Stewart, Sunset Magazine, Do It Yourself, 1859 Magazine and Country Home Magazine (due in Fall 2018). Prior to opening WildCraft in 2013, Chelsea taught in the BFA program at Pacific Northwest College of Art and mentored in the Applied Craft & Design MFA program. She has lectured at the Center for Architechture (AIA Portland), Travel Oregon, Lewis & Clark, PNCA & OCAC. Heffner studied at the Hodgeschool voor de Kunsten in Utrecht, Netherlands and received her BFA from the Rhode Island School of Design in Providence RI (2005) and her MFA from the Pacific Northwest College of Art in Portland OR (2009). Heffner has participated in residencies at Pocoapoco, (Oaxaca, Mexico), Haystack Mountain School for Crafts, (Deer Isle, Maine), Yestermorrow Design/Build School (Vermont) and with artists, Mark Dion and J.Morgan Puett at Mildred’s Lane (Pennsylvania).